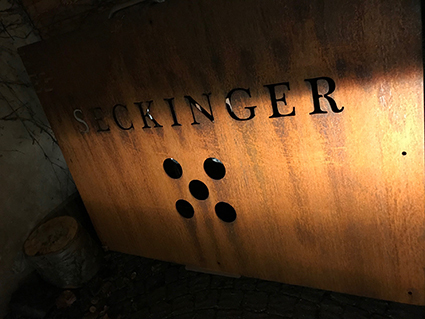 The Seckinger winery is relatively new, founded in 2012 by Andrea and Josef, whose family had until then been growers and sellers of grapes. Now the business is passing into the hands of their four sons (well, three of them so because the youngest, Simon, is 14 and still at school! 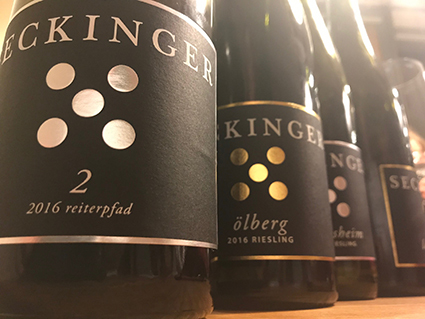 ), with Jonas, Philipp and Lukas taking over the production, sales and marketing of an extraordinarily diverse range of wines. 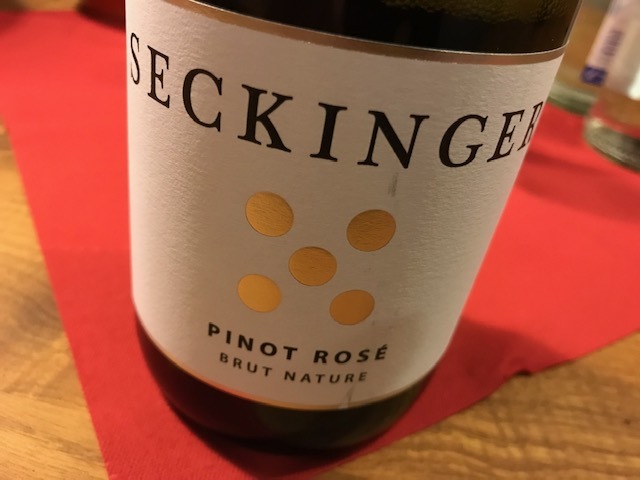 They started with just 5000 bottles, but now make over 100,000, all from their own fruit, and they no longer sell any grapes. They are based in the small village of Neiderkirchen, just outside Deidesheim in the Pfalz. 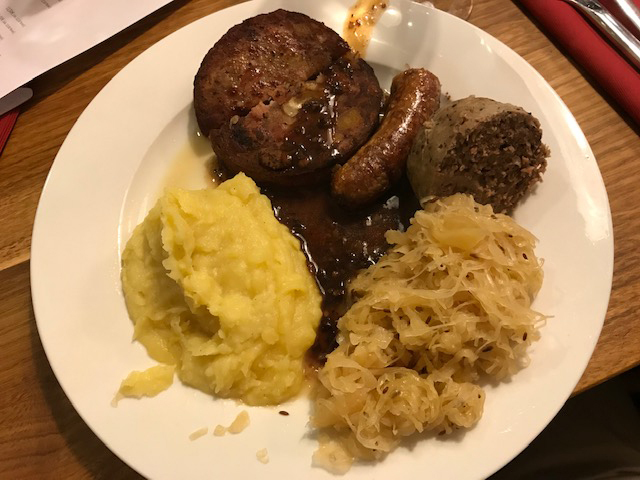 We were treated to a tasting of wines over a wonderful "Palatinate" dinner prepared by Andrea, of sausages, dumplings potatoes and sauerkraut - perfect for a winter's evening. 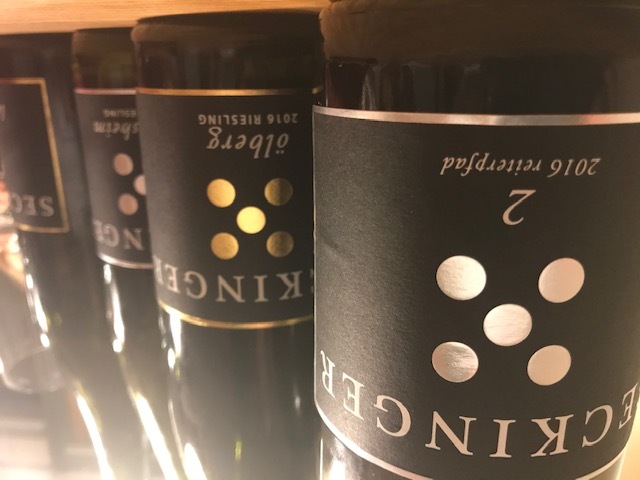 Jonas is the winemaker, a spirited and enthusiastic member of 'Generation Riesling' , a new initiative for young German winemakers to speak to the world via their wines. 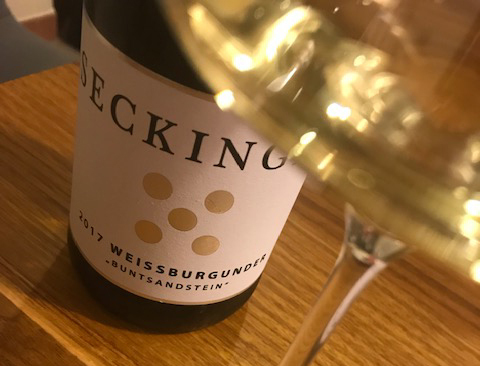 Chardonnay R 2018 Ruppertsberg Barrel Sample. All Natural. A little cloudy and some wild apple and miso aromas. All the hallmarks of its style. Some flint and baked apple fruit. Plenty phenolic. Yeasty and phenolic. Still2g/L sugar remaining, may re-start fermentation naturally prior to bottling.